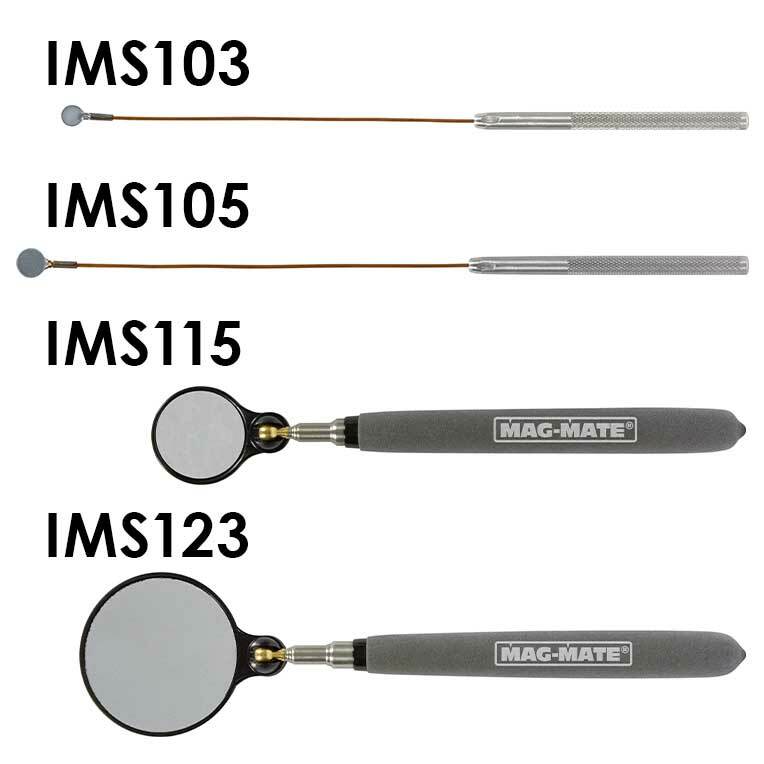 Industrial Magnetics, Inc.'s Inspection Mirrors allow you to see around corners or tight spots and inspect the hardest to see places. 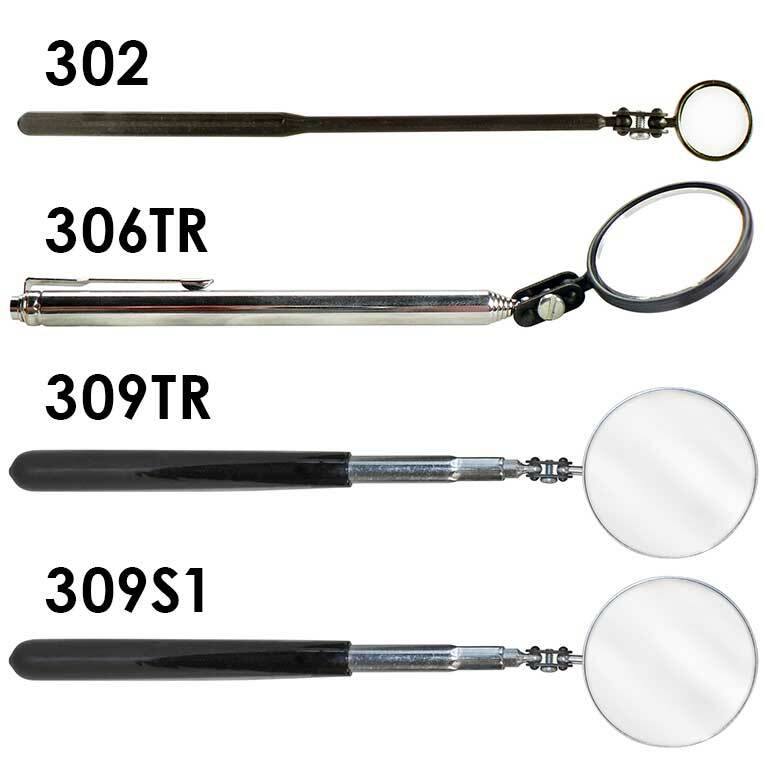 Our Inspection Mirrors are available in a number of materials such as glass, acrylic and stainless steel. 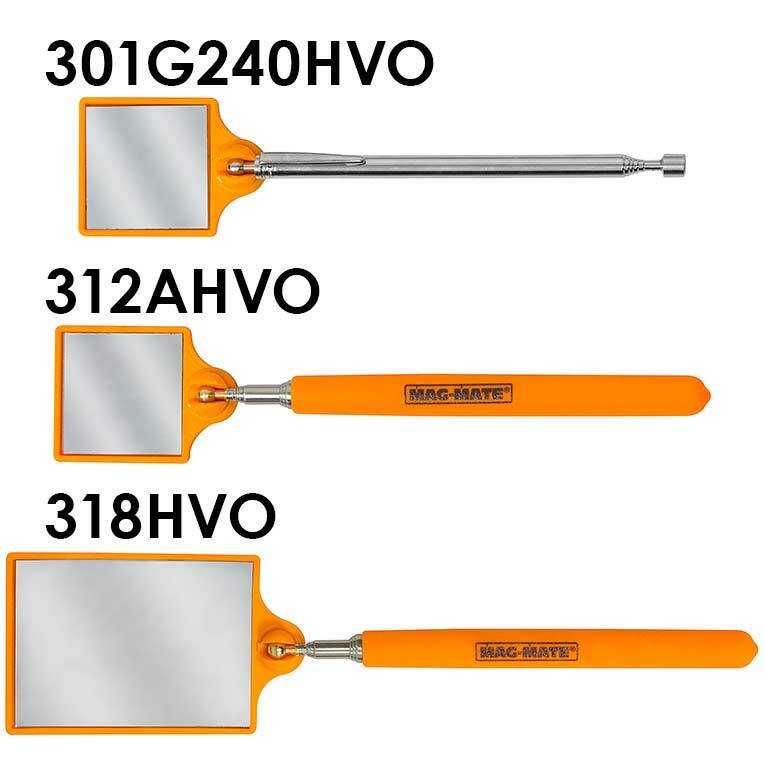 The Stainless Steel Inspection Mirrors are FOD (Foreign Object Damage) free and are ideal for use in critical areas where foreign objects cannot be left behind. 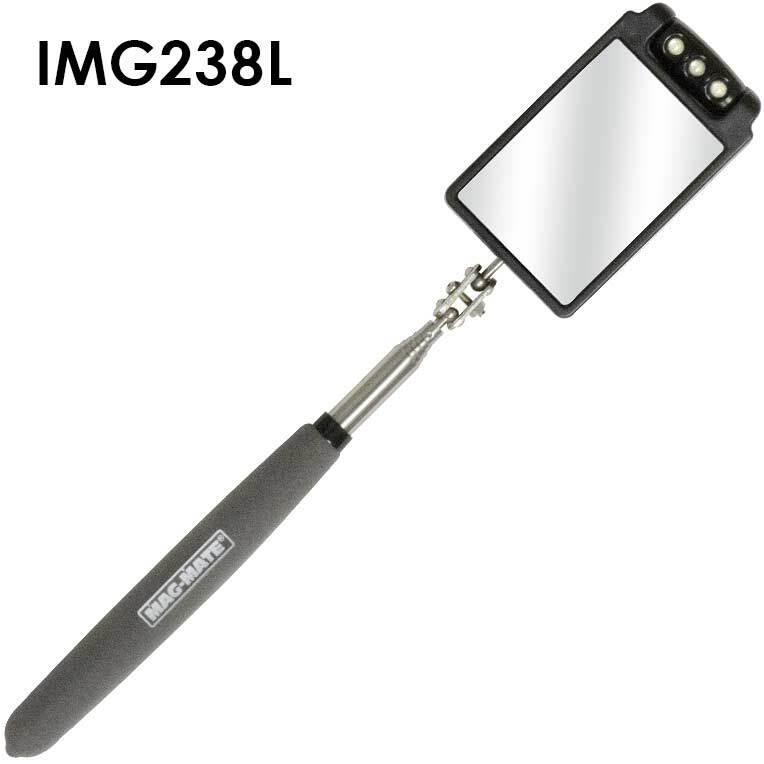 No worries about glass mirrors breaking in sensitive areas such as engines, fuel lines and machinery. 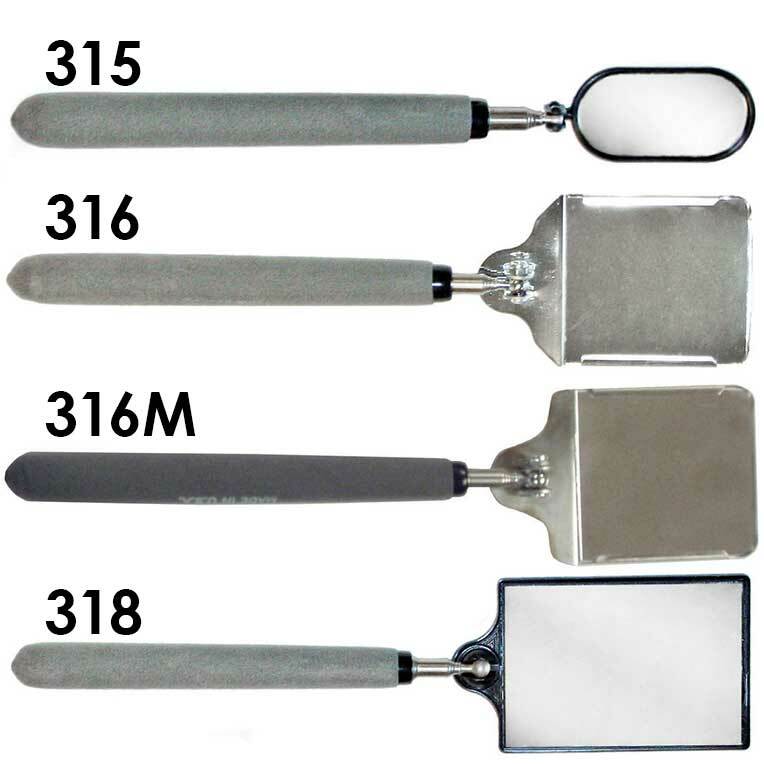 These mirrors are great for high heat areas. 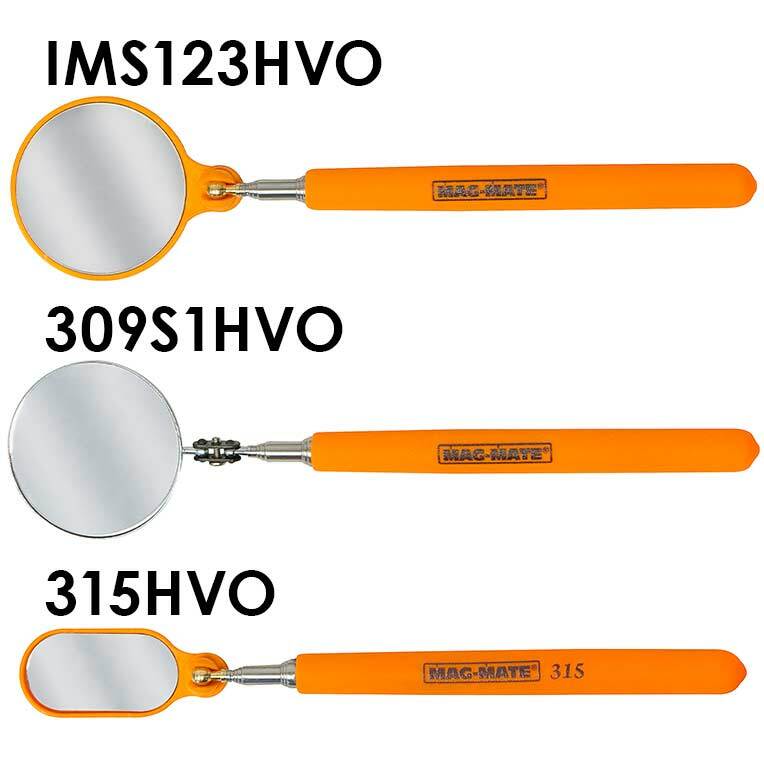 A magnifying stainless steel inspection mirror is also available. 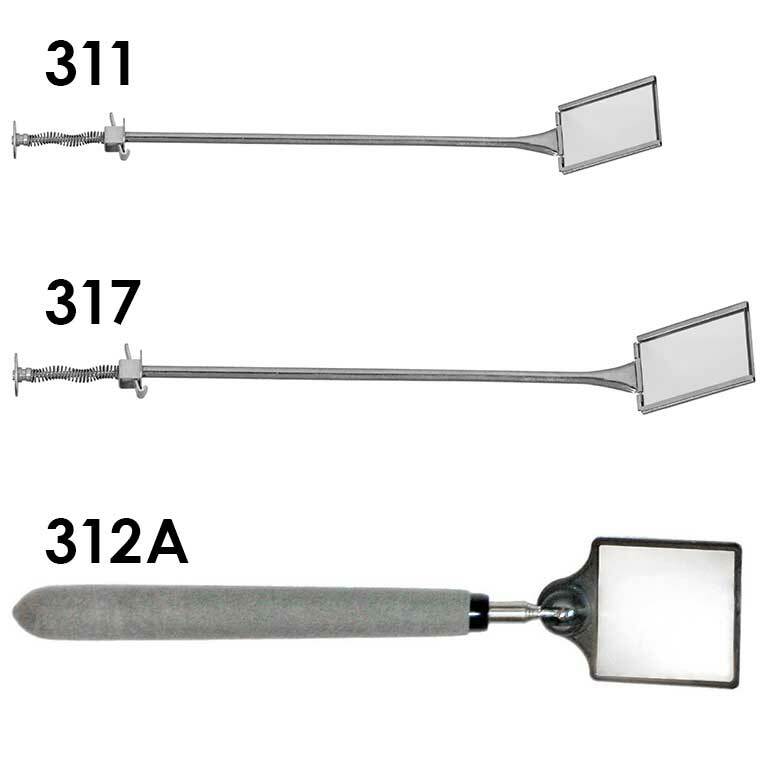 Models 311 & 317 have a locking hinged mirror that allows for 180° of positioning. 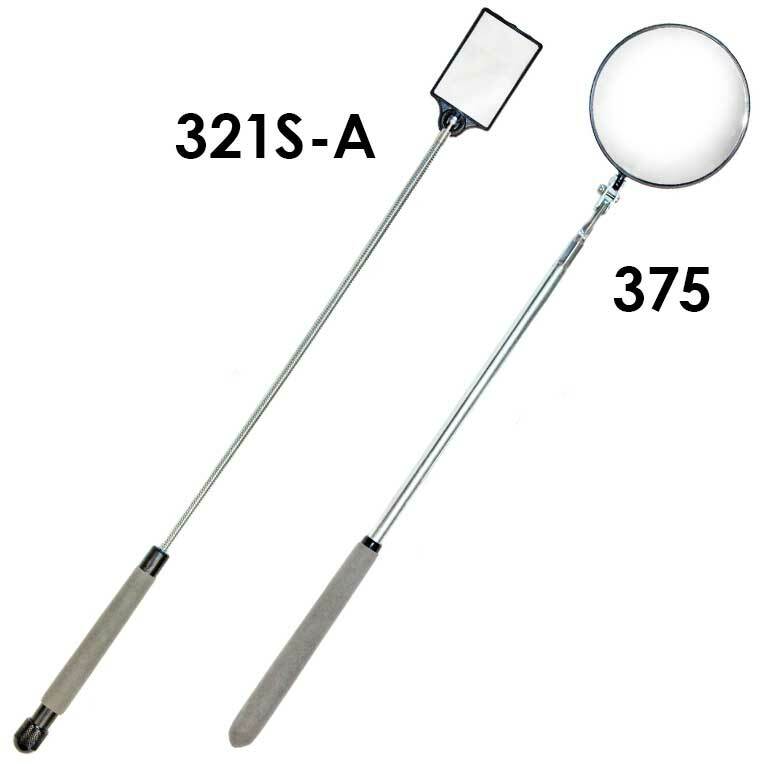 321S-A can be bent to a permanent position or the inside stiffening wire can be removed to snake it into position. 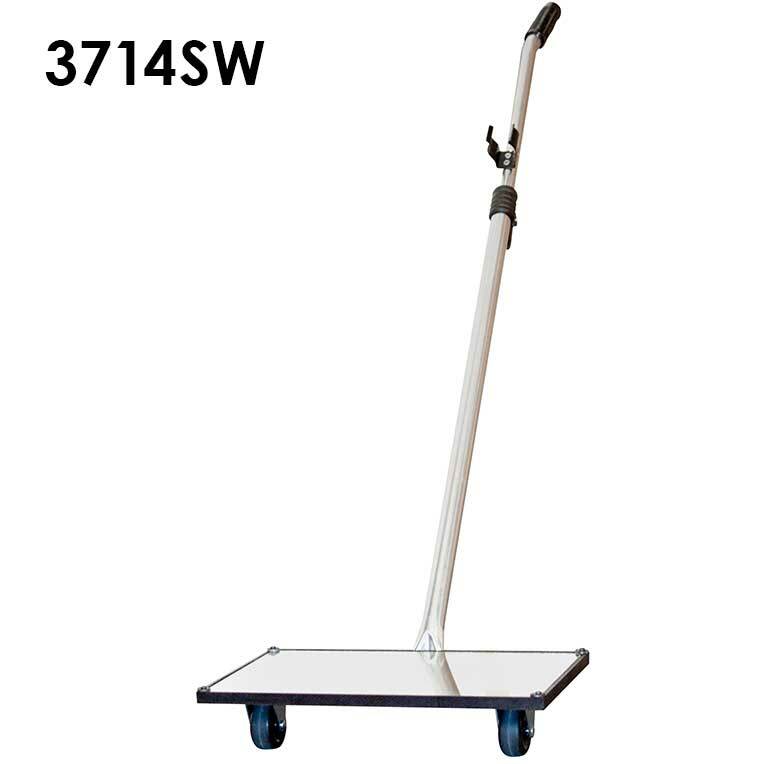 The 3714SW is a large dolly mounted inspection mirror with swivel wheels, 3" clearance and a flashlight clip. 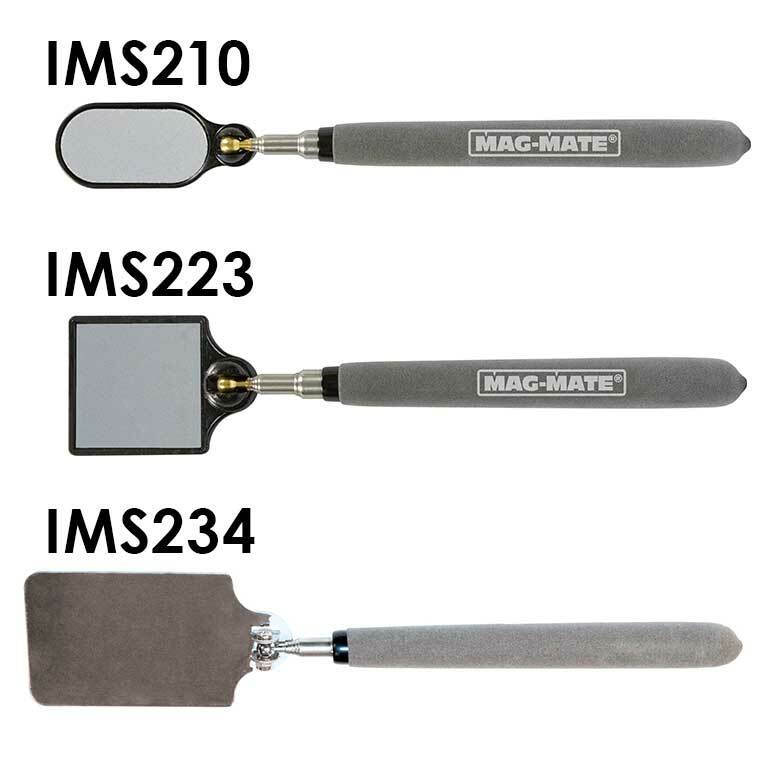 Model IMG238L contains 3 LED lights that pivot for controlled light direction. Batteries Included.